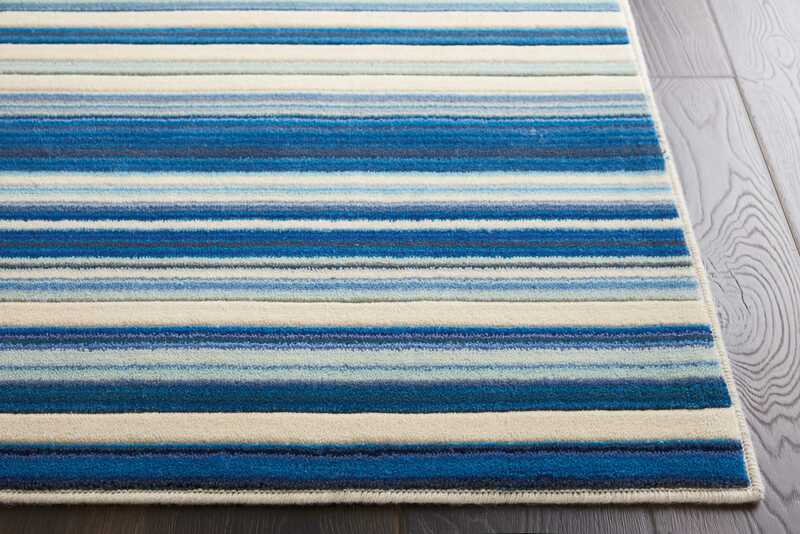 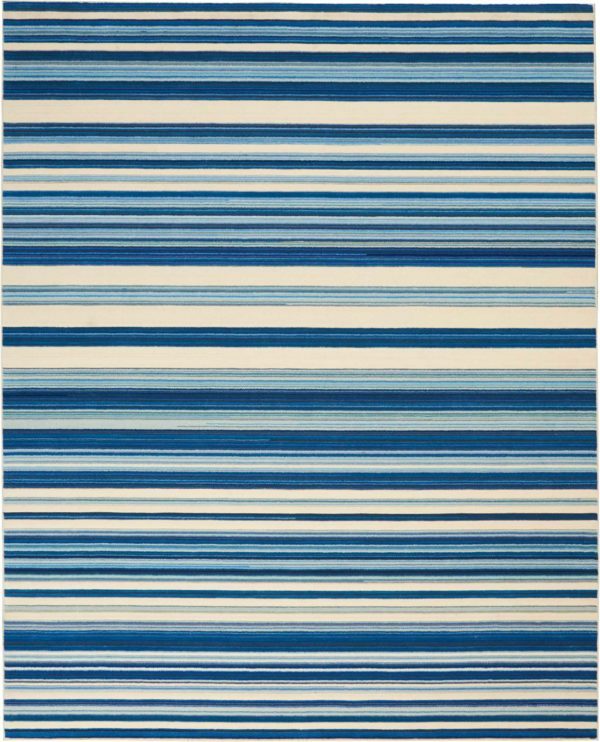 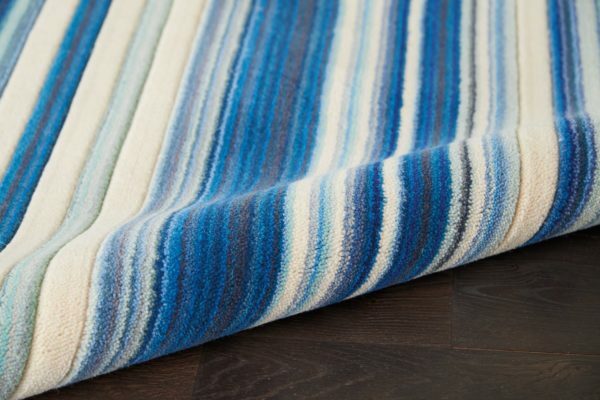 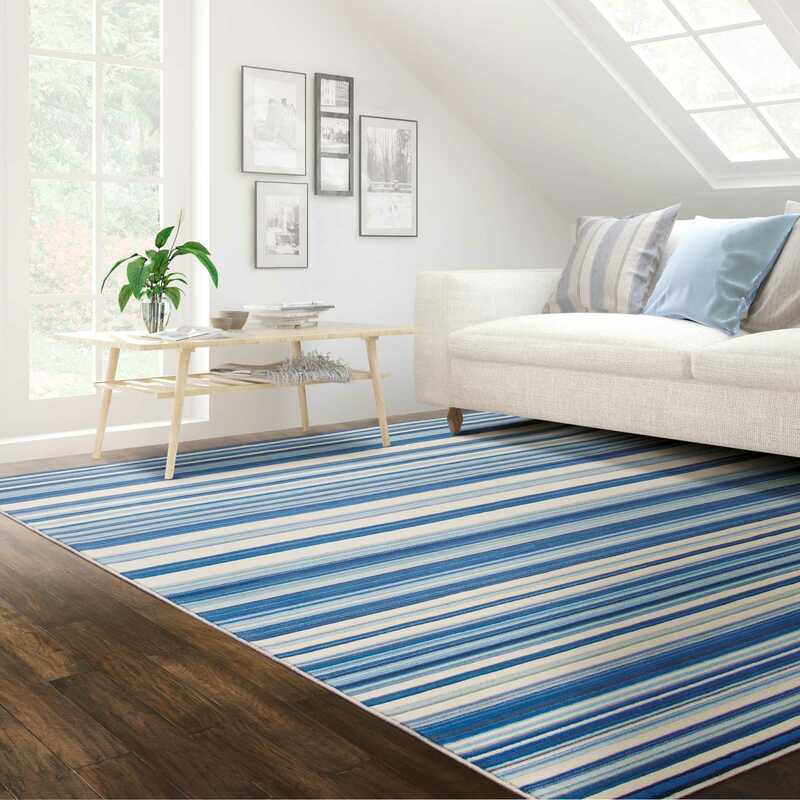 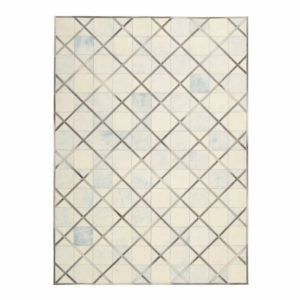 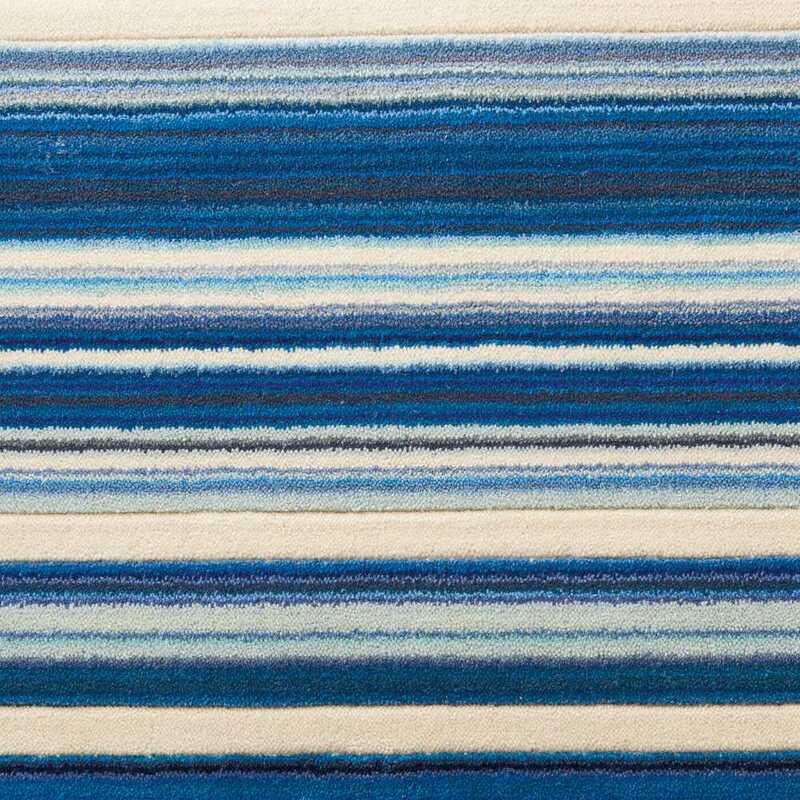 Barclay Butera’s signature blue tones take center stage in this boldly striped coastal style rug. 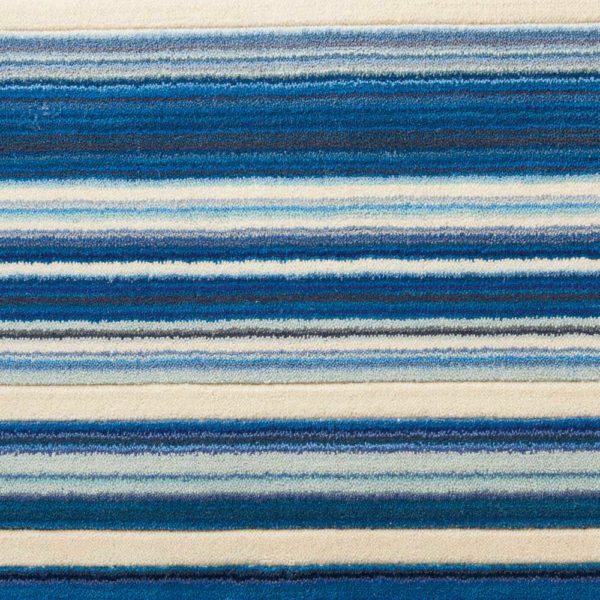 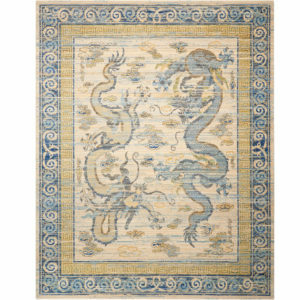 The soft wool blend rug is lined with striated shades of light and dark blues on an ivory white pile, with hand-carved details adding to the rug’s clean, classic look. 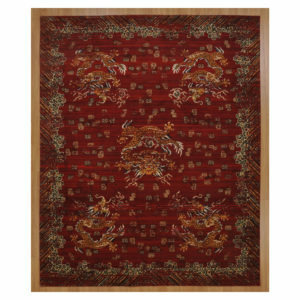 Please allow 2 – 4 weeks lead time for in stock items.